You probably don’t pay much attention to the utility poles in your neighborhood, but did you know these tall structures are the backbone of Tennessee’s distribution network? Strong, sturdy utility poles ensure a reliable electric system, which is why co-ops routinely inspect the thousands of poles found on our lines. Throughout the year, crews check poles for decay caused by exposure to the elements. They know which poles are oldest and conduct inspections through a rotational process. Typically, a standard wooden distribution pole is expected to last more than 50 years. Occasionally, poles need to be replaced for other reasons besides decay and old age. 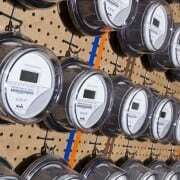 Weather disasters, power line relocation and car crashes are potential causes for immediate replacement. When possible, co-ops communicate when and where pole replacements will take place so that you stay informed of where crews will be working. When a pole needs to be replaced, crews will start the process by digging a hole, typically next to the pole being replaced. The depth of the hole must be 15 percent of the new pole’s height. Next, the new pole must be fitted with bolts, cross arms, insulators, ground wires and arm braces – all of the necessary parts for delivering safe and reliable electricity. Then, crews safely detach the power lines from the old pole. The new pole is then raised and guided carefully into position, and the lines are attached, leaving the new pole to do its job. 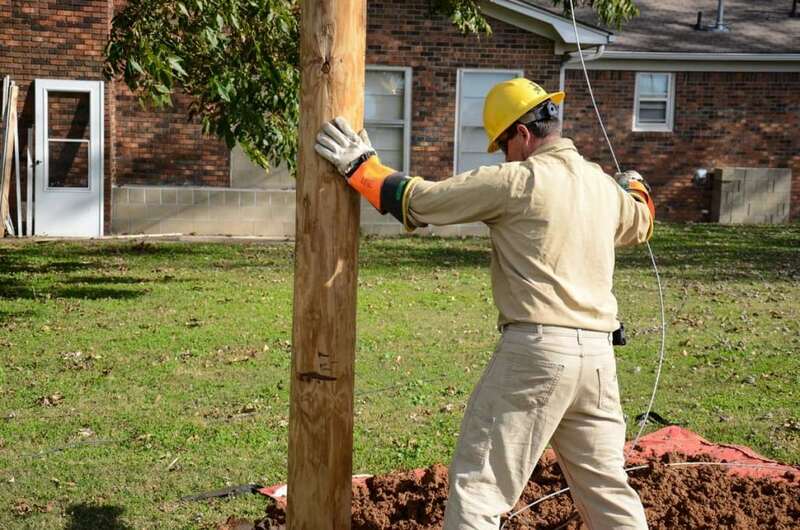 So, the next time you come across a co-op crew replacing a pole, use caution and know that this process ensures a more reliable electric system for you, our members. Abby Berry writes on consumer and cooperative affairs for the National Rural Electric Cooperative Association, the Arlington, Va.-based service arm of the nation’s 900-plus consumer-owned, not-for-profit electric cooperatives.